Garage doors can be beautiful. They can be trendy. They can add value to your home. They even have the power to represent, you, the homeowner living behind their portals, as they quietly convey to the world your impeccable tastes and uncommon creativity. There was a time when garage doors were merely functional. As long as they opened and closed when homeowners wanted them to, all was good. Happily, those days are long gone. Wait a minute. A garage door can do all that? How can this be, you ask? Simple. It’s because garage door designs finally have taken their rightful place in the much larger picture that culminates into what’s known as your home’s ‘curb appeal.’ Once you realize that a new garage door can increase your home’s worth, aesthetics, and livability, it’s time to think about its design. If you’re looking for inspiration on your quest for the perfect garage door installation in Silver Springs, MD, look no further than the exquisite new garage door design trends for 2017 and beyond. Home remodeling projects should be about one thing over and above all others: increasing your home’s value. Yes, you need each home improvement project to increase your home’s livability, but the fact is that increasing home value goes hand in hand with increasing its livability. So why not make every home improvement project count in the biggest way possible? When it comes to home improvements, many homeowners think about what they want first, and naturally, that’s a given. But you also have to think about what your home’s next owner might want. Okay, so you may not be thinking about ever selling, but life is funny, isn’t it? You never know what’s going to come next in your life, and that’s why you always want to be thinking a step ahead of life, if possible. So, when it comes to upgrades, go for what increases your home’s value along with your family’s happiness with your home. And when it comes to increasing a home’s worth, a new garage door is coming in at the top of all recent lists. There was a time when garage doors didn’t matter much in the scheme of a home’s worth, but that’s all in the past. According to Remodeling Magazine as well as U.S. News & World Report, a homeowner’s expectations of return on investment is between 80 and 90%! Of course, increasing its value isn’t the only reason you should think of a new garage door installation. Energy efficiency, safety, aesthetics—these qualities and more are upgraded when it comes to garage door design trends. For help answering any garage door installation or design questions contact a garage door installation expert near you. Hand in hand with increasing home value and increasing its tech smartness is making it more energy efficient. Seriously, is there anyone these days who isn’t looking for better energy efficiency? When it comes to saving green, you can’t beat the green-saving effects of green. It’s no accident that money and energy efficiency are both green—one can’t really survive without the other! And the good news when it comes to saving both money and energy is that this year’s garage door design trends incorporate both. Today’s energy efficient garage doors incorporate green technology in manufacturing that are conscious of nature in the materials used. They often include sustainable materials that not only are recycled, but can cost homeowners less, especially in the long run. Today’s garage door designs can call themselves energy efficient because they are far more aware of weatherproofing and insulating than ever before, a fact that renders your home remodeling budget happier and healthier than with many other home improvements. When it comes to your home’s aesthetics, it’s important to listen to what your house wants. An important question to answer when embarking on a new garage door installation is: What does the rest of my house look like? Seems like such an obvious thing, doesn’t it? Unfortunately, oftentimes homeowners will install a new garage door based largely on what they want and how much they can afford. But curb appeal is about aesthetics, and that’s why it’s vital that you listen to your house when purchasing a new garage door. The good news about new garage door installations for 2017 and beyond is that manufacturers are offering so much more, not just in the way of smart technology and energy efficiency, but also in the many new designs they’re coming up with from an artisan’s perspective. Because folks are much more conscious these days of incorporating their own creative tastes into everything they do and own, garage door manufacturers and designers have answered the call with more options in color, shutters, window trim, patterns, door designs, arches, and angles than ever before. In fact, you’ll have more trouble choosing from the many options available! Today’s garages are so much more functional than ever before. In modern life, we use our garages for everything from housing our cars to workshops to art studios to aesthetically pleasing mother-in-law suites and more. That’s why it’s vital to incorporate the ability to bring in as much light possible when it comes to new garage door installation. Windows are a great way to lighten up your garage space, no matter what your garage’s purpose. Another way to bring in more light, believe it or not, is via garage door materials. Lightweight manufacturing materials can actually add a level of increased lighting that will make your garage more functional. If multi-functionality is at the top of your garage’s importance, think about using such materials as polycarbonate, aluminum, and/or fiberglass. These and other lighter weight materials can translate into a better functioning space. Naturally, your garage door has to keep your place safe, but it also must keep potential intruders away from you and your family. Safety is another significant reason why a new garage door installation adds value to a home. Face it—modern life can be a bit on the scary side; that’s why security is more vital than ever. Sure, there are a lot of things you can do to upgrade your home’s livability as well as its value, but few upgrades come close to the capability of securing you and your loved ones more than a new garage door installation. The material you choose for your new garage door installation is of utmost importance. You want your new garage door to be aesthetically pleasing, and that means it must incorporate well with the rest of your home. Not only that; you need your new garage door’s materials to fit into your budget. 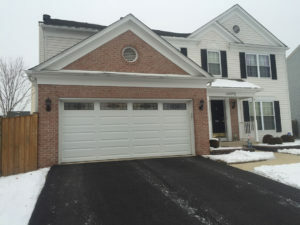 The fact is that most materials for garage doors can run the gamut from low-budget to high-budget, and that’s why it’s important that you consult with a garage door repair and installation company in Silver Spring in order to get the lowdown on material costs. Another very important thing to consider when choosing materials for your new garage door, as well as installing it—by all means, unless you’re a crack DIYer, don’t do it yourself. 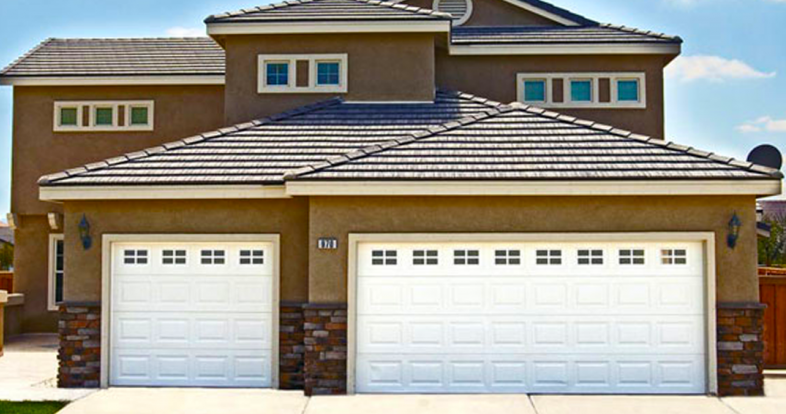 Garage door installation and repair professionals know how to do it right—and safely! Installing a garage door, regardless of the materials you choose, can cause serious injury if you’re not well versed and experienced in how to do it. You’re not likely to undertake a home remodeling project without considering, in a big way, your home’s beauty. In a recent study where participants were asked what three things they want most out of a home, the answer ‘beauty’ showed up in those top three answers in every single group! And no other single aspect of aesthetics has the power to overshadow its curb appeal than color. So what colors top the list of garage door design trends for 2017 over and above all others? Primary colors. Red, yellow, blue, and even white, are among the biggest trends in all areas of home design and redesign, and garage doors are included in that trend. And one of the best things about primary colors is that a close shade or tint of any of them goes with nearly every other color on the wheel! So, no matter what your home’s color palette, some version of a primary color design will match beautifully. 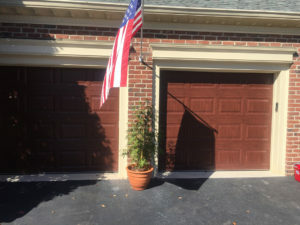 Consider a new garage door that includes a primary color or colors that also incorporates accent colors in such areas as window and door frames. Modern homeowners love high ceilings. It’s true. Perhaps it’s because many of us spend so much more time in our homes than ever before. Yes, we’re a society of social butterflies, but ever since the advent of computers and most especially social media, we can enjoy the company of faraway relatives and friends even from our own living rooms. That could be one reason why high ceilings, that more closely mimic a feeling of being outdoors—are more important than ever to us. Whatever the reason, garages are not exempt from this new phenomenon. If you’re considering a new garage door installation, consider also remodeling your garage that raises its ceiling, especially if you’re someone for whom garage space is about more than just parking your car. Taller garages that have higher ceilings and, therefore, taller garage doors are among the biggest garage door trends for this year and beyond. Another reason why folks today want higher ceilings in their garages is to store larger vehicles such as trailers and RVs. Additionally, a taller garage/garage door can make a home look and feel larger, a fact that increases your home’s worth in the long run. Garage door design trends for this season are about so much more than opening and closing your garage and keeping your car safe from the elements, placing a new garage door installation at the top of your list of home-remodeling priorities is not only a good idea, it’s ideal. In fact, a new garage door that incorporates one or more of this season’s growing garage door design trends can upgrade the value of your home in a big way. And upgrading your home’s value should always rise to the top of your home remodeling project list. In fact, according to a recent report from U.S. News & World Report, garage door replacements produce a greater than 80% return on investment. And the best news of all? Garage door design trends for 2017 and beyond are about so much more than functionality; they’re about: (1) performance—because energy efficiency and safety have never been more technologically savvy; (2) style—because today’s garage door designs are more creative and diverse than ever; (3) personal expression—because your castle should reflect all that you are and all that you aspire to; and (4) curb appeal—because you want your home to be more than your neighborhood’s rock star; more importantly, you want its value to increase with each and every home remodel you undertake. For more ideas about garage door designs, contact a contractor who specializes in garage door repair near you.